Long days and late nights. Weekend hours, holidays and lots of writing and reflecting. Extra work and time when it seems that’s the last thing teachers have room for in their already-hectic schedules. Welcome to the world of the National Board for Professional Teaching Standards (NBPTS) and its certification process. While National Board certification is known to be a challenging and somewhat lengthy process, ask almost any teacher who’s gone through it and incorporated it's principles into their teaching practices, and they say they wouldn’t trade it for the world. Teachers who have earned their certification — many through the help of the OEA — acknowledge the work that it takes, but the effort seems to pale in comparison to the benefits they take away from the process: the daily reflection and improvements, the additional knowledge and best practices, the ability to better meet the needs of every individual student. Today’s OEA talked to three Oregon teachers who are all board certified to find out just why they did it and how it’s inspired them to become better teachers each and every day. Kristin Becker had a pretty personal inspiration for getting into education: Her younger brother was challenged with developmental delays. “I wanted to go into special ed to teach and help students like my brother,” says Becker, who presently serves as a mentor teacher at two elementary schools in the Lincoln County School District. Life unfolded in a different way, however, and Becker never ended up going back to school for special ed. But she’s had a successful and varied career in education nonetheless, teaching everything from middle school and at a small magnet program in Newport to serving as a building administrator and a 4th- and 5th-grade teacher before the mentoring opportunity arose four years ago. A competitive person and a lifelong learner by nature, Becker says she was initially drawn to the NPBTS certification for those reasons together. Backed by some grant funding, Becker started the certification process in 2003 and earned her certification in 2004. She had expected it to be a challenge, and the process did not disappoint. By that point in her career, Becker had already earned her undergraduate degree, gone through the coursework for a Master’s degree and her initial administrator licensure, as well as some English Language Learner classes, but the NBPTS process put her to the test more than any of her other work ever did. A 4th-grade teacher at the time, Becker found herself having to work on her certification on weekends, holidays and in the wee hours of the morning. Part of what helped make the certification process more bearable was having a principal who was very supportive. Becker says the team of teachers she worked with was also behind her, even taking on extra duties to help her focus as much as she could on getting certified. 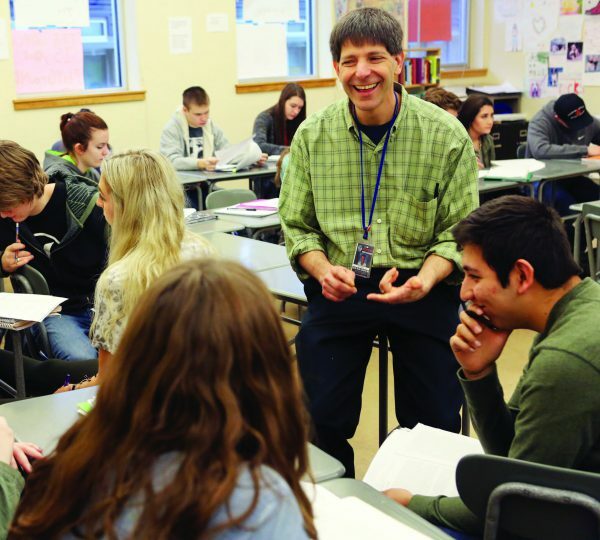 Even today, the Lincoln County School District is among a handful of districts in Oregon that offers financial stipends to board- certified teachers, which Becker says is a sign that the district values the fact that teachers have pursued the certification. Going through the process, Becker says she really appreciated the way the certification helped sharpen her focus on educational standards and how to address them in a way that meets the need of every single student. She also says the attention on the reflective process of teaching that the certification incorporates is something that she has taken with her into the school every day. In addition, Becker found that being board-certified exposed her to some of the latest research and best practices in education, which in turn equipped her with a renewed sense of confidence. A few years ago, Becker was working in a school that had been classified as a school in need of improvement. The school followed a very scripted program, but Becker realized that the program wasn’t meeting the needs of every student. Armed with research, data and confidence, in part from being certified, Becker approached her administrator and built her case for deviating from the scripted program as a way to reach more students. Ten years after her initial certification, Becker was up for renewal in 2014, and while she says the process — and the prospect of coming up short — made her just as nervous as the first time around, she’s glad she did it. Part of the renewal process found her reflecting on how she’s used the certification in her work over the past decade. A big proponent of certification, Becker helped facilitate the OEA’s National Board Certification Jump Start program last summer. The intensive seminar, sponsored by OEA as a way to support teachers seeking to improve their professional practice, offered NBPTS candidates the opportunity to familiarize themselves with the certification process, to plan their approach for meeting all the requirements, and to collaborate with board-certified teachers and other prospective candidates. The goal was to help prepare more Oregon teachers for certification, something that Becker would love to see. 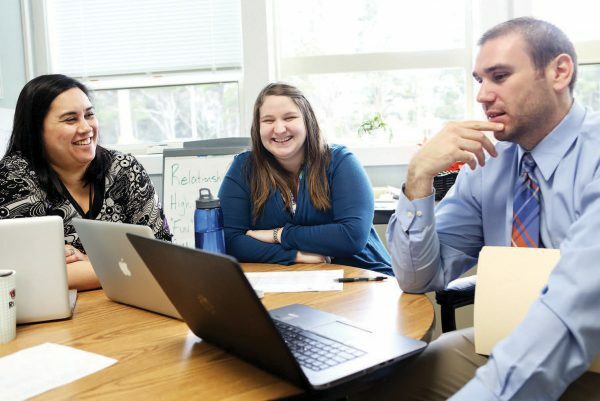 Despite the reputation that the NBPTS certification process has for being an intense and time-consuming process (though incredibly worthwhile), for Oregon City High School teacher Ed Kline, it didn’t actually seem like a lot of extra work. Part of that is because Kline is himself a language arts teacher. As a result, the heavy writing demands of certification didn’t come off as all that laborious for someone who writes fairly regularly and naturally anyway. But an even bigger part of it was that everything that the certification underscored, including its five core propositions, was a part of Kline’s own approach to teaching. Those five core propositions focus around teachers’ commitment to advancing student achievement. They include the ideas that: teachers are committed to students and learning; that they know the subjects they teach and how to teach them; that teachers are responsible for managing and monitoring student learning; that they think systematically about their practice; and that they are members of learning communities. A California native who landed in Oregon in 1993, Kline started teaching at OCHS in 1997. In addition to being inspired by what NBPTS stood for, he also was encouraged by a teaching colleague, Kathy Haynie, who also went through the certification process. Kline pursued his certification over a period of two school years through a program called Take One, which allowed teachers to work on one of the six different steps and portfolios over one year rather than having to bite off the entire effort in a single year. One of the biggest challenges Kline faced at the time was simple technology. Even back in 2010, video equipment for teachers to record themselves in their classroom — an exercise that makes up a portion of the certification — wasn’t nearly as friendly and effective as it is in the current day of iPads, smartphones and other devices. Kline says the reflection process of certification came naturally to him, though he notes that the extra writing it required could be a little more intimidating to teachers who are more comfortable in other subject areas. Even without the writing, however, he says just the simple act of assessing the school day — what worked, what didn’t, and how to make it better the next day — is an incredibly valuable exercise for any teacher. “I think it’s really the way that good teachers function and improve anyway,” he says. On top of the reflective benefits, Kline says the certification has made him better at thinking about what’s best for all of his students. Another, unexpected benefit of certification for Kline has been his introduction to many other NBCTs through a range of meetings and networking opportunities that have arisen. That, he says, has been inspirational in its own right. Very early in her teaching career, Heather Anderson moved across the country from Bend to Montgomery County, Maryland, while her husband was attending Georgetown University. A native Oregonian who grew up in a family of educators and who always wanted to teach, Anderson landed a teaching job at a school formerly called Broad Acres Elementary School in Silver Springs, MA. At the time, the school was one of the lowest-performing schools in the district. Close to 90 percent of the students there were living at or below the poverty line, and the state of Maryland was on the verge of taking over the school. By the time Anderson left six years later to come back to Oregon, Broad Acres had become one of the highest-achieving schools in the district. The percentage of students passing state reading tests had jumped from 13 percent to 75 percent, and the strategies that had helped turn the school around became the subject of a wildly popular book still used today. One of those strategies had been for the school, led by principal JoAnn Leleck, to hire a group of highly-qualified young teachers from all over the country and provide them with loads of training and professional development. “The principal was one of those people who really believed in the teachers and who really empowered them,” Anderson says. For Anderson, who taught fifth grade at the time, and a team of about 12 other teachers, becoming board certified was also part of the training. Though she’d only been teaching for a few years by then, Anderson says the certification was appealing to her and her colleagues, who were able to collaborate as they went through the year-long process. Anderson earned her certification in 2005 after going through what she described as a “challenging” process that found her working on her certification portfolios largely on Sundays. Challenging though it was, for Anderson it was worth it. Anderson returned to Bend in 2006, taught at Three Rivers School in Sunriver for five years, and today she is in her fourth year of teaching 4th grade at Juniper Elementary School, a high poverty school that has been recognized by the state as a Model School for its incredibly high rates of student achievement and learning. Anderson says she regularly utilizes her certification in her everyday teaching, whether that’s reflecting on a day or incorporating one of the five core propositions in her work. One example: making sure her students are learning a sense of community through their education. In addition to her teaching, Anderson is also coaching 16 NBPTS candidates, a process that, along with her recertification last year, has kept the principles and benefits of certification fresh and current for her. “Now that I’m a coach, I’m constantly reminded of these high standards,” she says. Anderson’s own commitment to those high standards of education have borne other fruit, as well. In October, she was named Oregon’s 2016 Teacher of the Year. In a release about her selection, the Oregon Department of Education praised Anderson for tirelessly supporting her students and colleagues, for setting high expectations for her students and herself, and for helping other educators learn and grow. 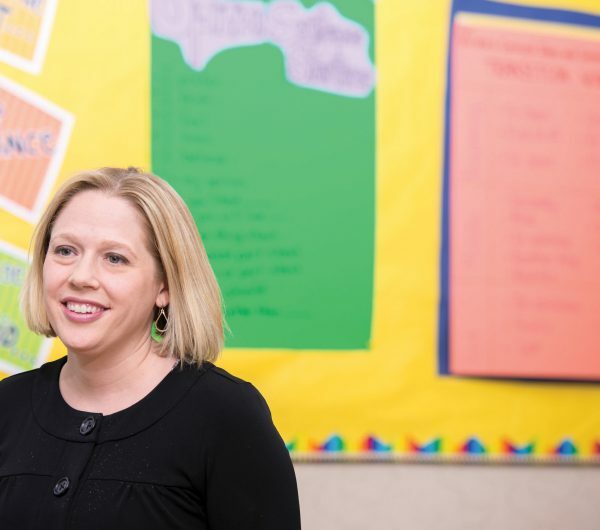 While there’s much more to her selection as Teacher of the Year than her certification, Anderson says that it’s nonetheless a big part of what has made her the educator that she is today.